Lawrence A. 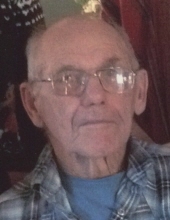 “Larry” Reilly, age 87, of Town of Mitchell, passed away early Friday Morning (March 15, 2019) at St. Nicholas Hospital in Sheboygan. Larry attended Waldo High School and later received his GED. Following high school, he served in the United States Army during the Korean War. On May 4, 1953, he married Petronella Konwent at St. Matthews Catholic Church in Campbellsport. The couple resided on family homestead in the Town of Mitchell following their marriage, and she preceded him in death on January 26, 1975. Larry ran the family homestead and had cattle to this day. Farming was his life and he loved going to local farm auctions and cattle sales. He also enjoyed looking over the history of Sheboygan County and all the Townships. Survivors include: Three sons: John (Karen) Reilly of Boston, MA, Lawrence M. “Larry” Reilly (special friend: Carolyn Kenealy) of Hingham, and Michael J. Reilly of Fond du Lac; Two Daughters: Katherine Reilly of Oshkosh and Laura Reilly of Town of Mitchell; Daughter –in-law: Donna Reilly of the Town of Mitchell; Son-in-law: Keith Staples of Silver Springs, MD; 10 Grandchildren; 3 Great Grandchildren with a 4th on the way. A Mass of Christian Burial will be held on Thursday (March 21, 2019) at 11:00 A.M. at Our Lady of the Lakes Parish – St. Mary’s Chapel in Random Lake. Father Wayne Bittner will officiate and burial will be in St. Mary’s Catholic Cemetery in Cascade. Visitation will be held on Wednesday evening (March 20) at the Suchon Funeral Home in Plymouth from 4:00 – 7:00 P.M. and again at CHURCH on Thursday (March 21) from 10:30 A.M. until the time of Mass. In Lieu of Flowers, a memorial fund is being established in Larry’s Name. To send flowers or a remembrance gift to the family of Lawrence A. Reilly, please visit our Tribute Store. "Email Address" would like to share the life celebration of Lawrence A. Reilly. Click on the "link" to go to share a favorite memory or leave a condolence message for the family.